Jermakov was born in Stara Konstantinskaya, Russia, on 21 May 1909. At the time of the German invasion of Yugoslavia, Kapetan (Captain) Konstantin Jermakov was in command of 112. Lovacka eskadrila (approx. Fighter flight) of the 36. Lovacka grupa (approx. Fighter squadron) in the 5. Lovacki puk (approx. Fighter Wing). The eskadrila were equipped with Hawker Furies and based at Rezanovacka Kosa airfield near Kumanovo (now FYR Macedonia). On 6 April 36. grupa at Rezanovacka Kosa opposed the first German attacks. Two Furies were off at sunrise for a patrol towards Kratovo. The grupa had been warned before dawn to expect air raids and the rest of the grupa were strapped into their fighters with engines ticking over when some 30 Bf 109Es and Bf 110s, mainly from LG 2 and II/ZG 26, swept in to attack the airfield. Most of the Yugoslavian aircraft managed to get airborne and only one Fury, one RWD 13 and three training aircraft (BH-33Es ?) were destroyed on the ground. In the air however, the 111. eskadrila was caught at a grave disadvantage at the point of take-off, although their fate did allow 112. eskadrila pilots to gain some height before giving battle. In minutes eleven Furies, including the two on patrol, were shot down, or had been destroyed in force landing after suffering severe damage. 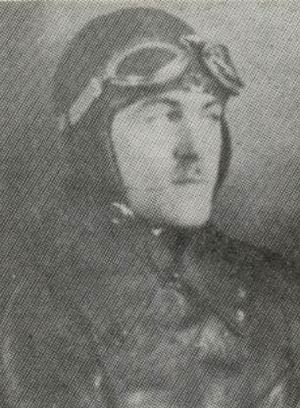 Seven Yugoslavian pilots were killed and one was wounded, among the dead were both eskadrila commanders, Kapetan Vojislav Popovic (111. eskadrila) and Kapetan Jermakov (112. eskadrila). At the time of his death Jermakov was credited with one claim, this one claimed while flying Hawker Fury.